This gorgeous Santo Domingo necklace is circa 1940s to 1950s and comes from an old Taos, New Mexico estate. 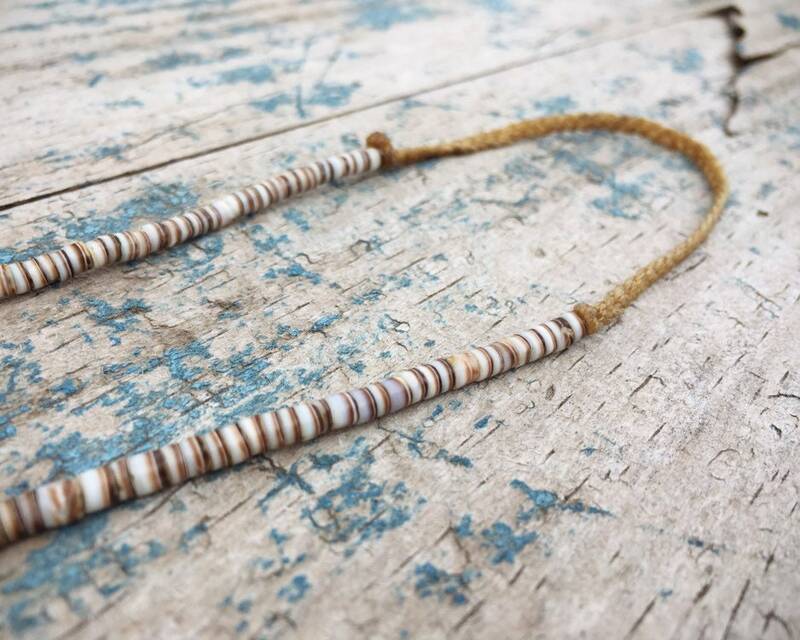 The necklace is from the Santo Domingo Pueblo, and it has a braided twine closure, which means you place it on and off over the head versus having a clasp. 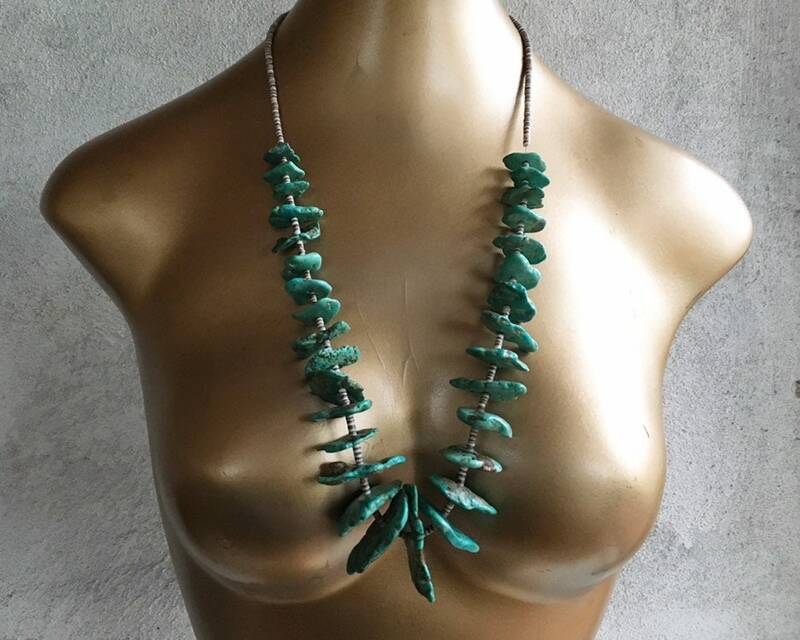 The natural turquoise is gorgeous with a natural sheen based on the quality of the stone. 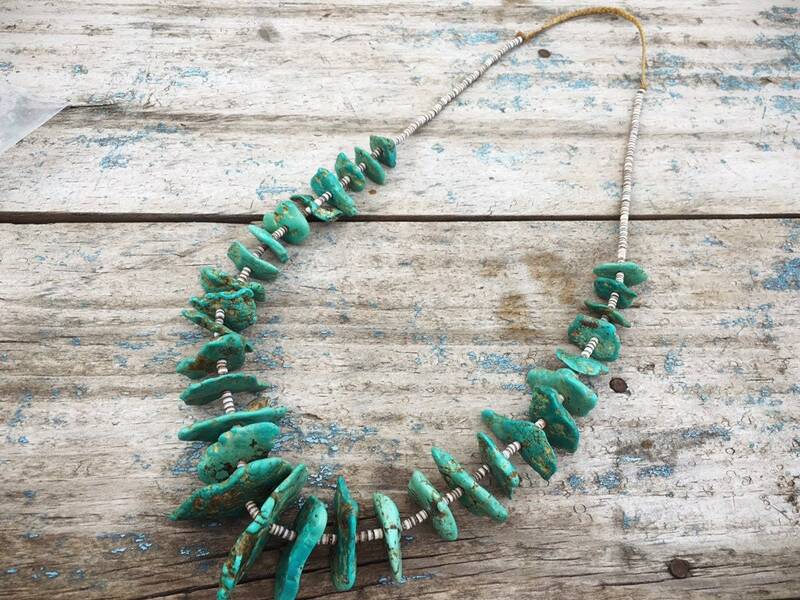 This is considered "chunk" turquoise although each piece is fairly narrow--some more thin than others--like organically shaped discs or wafers. 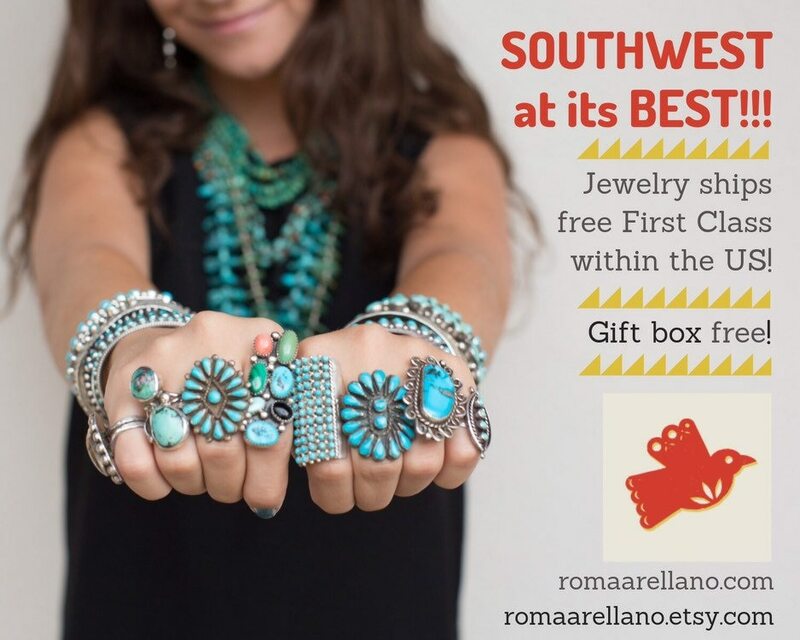 Most of the turquoise pieces are pump drilled, which you can by the small ring around the hole on one side. 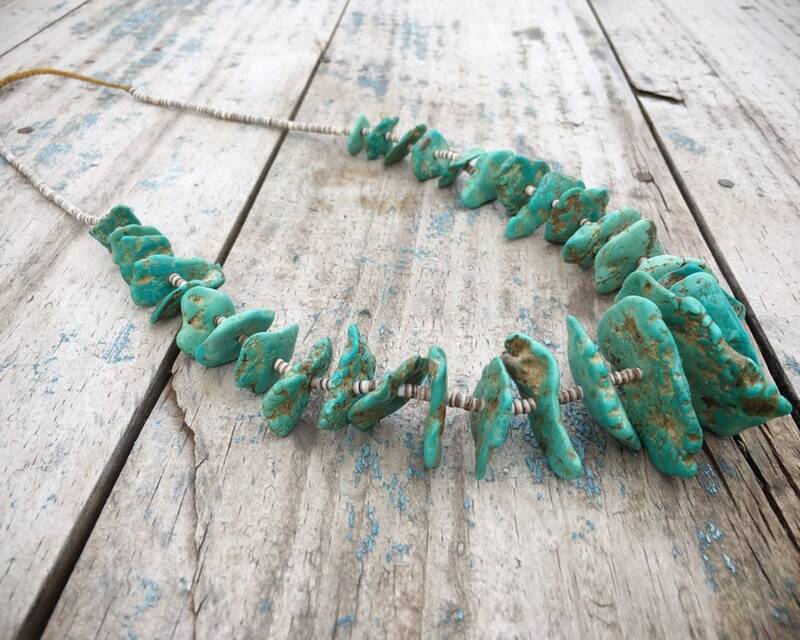 Some of the turquoise pieces may have been drilled before WWII, but I believe this necklace was put together after the war. The braided closure along with the fact that is waxed twine makes me believe it could have been as late as 1950s. 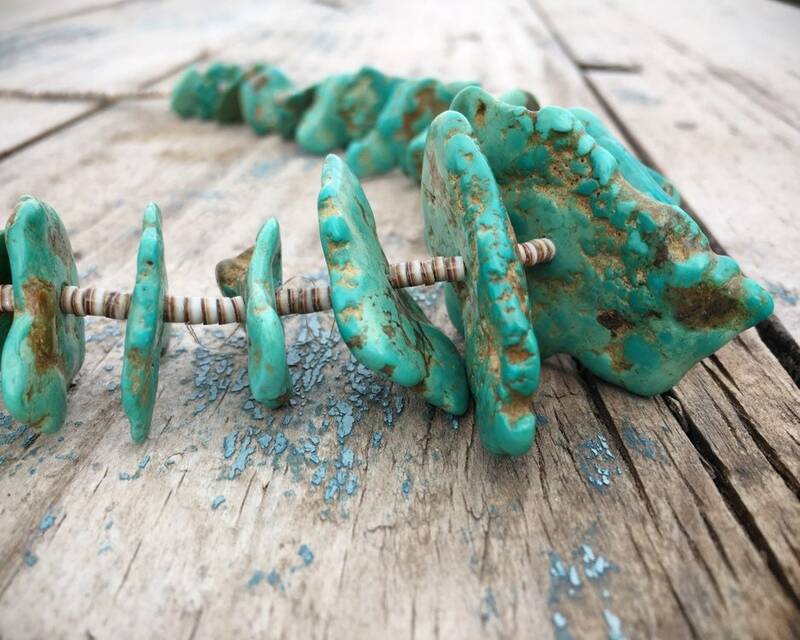 But we know the turquoise is quite old, and some of the pieces could be much earlier than 1940s, as pump drilling was used up until the war. 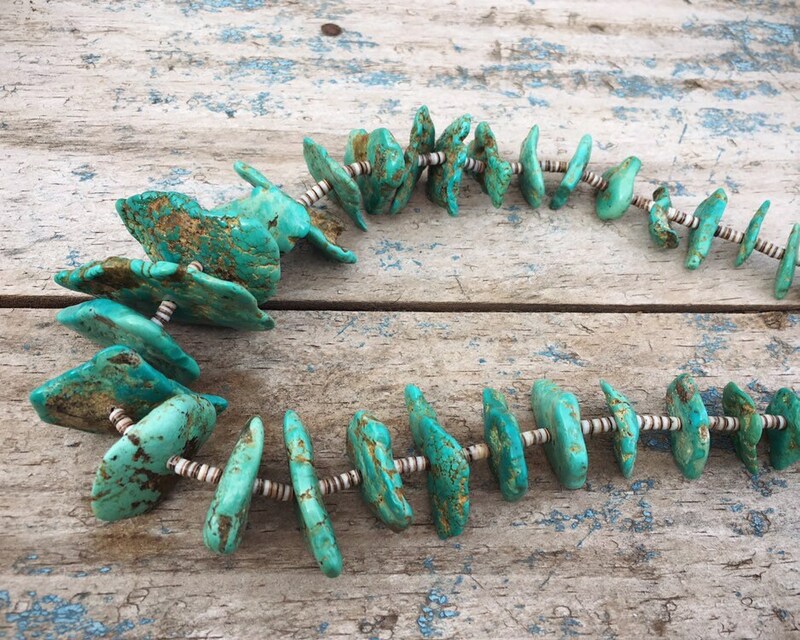 The turquoise pieces have a wonderful clicking sound when they touch. Of course, you will want to be careful with the necklace as the turquoise pieces can break given how thin some of them are. The light pen shell heishi in between sets off the color of turquoise. Perfect for the collector of Old Pawn. 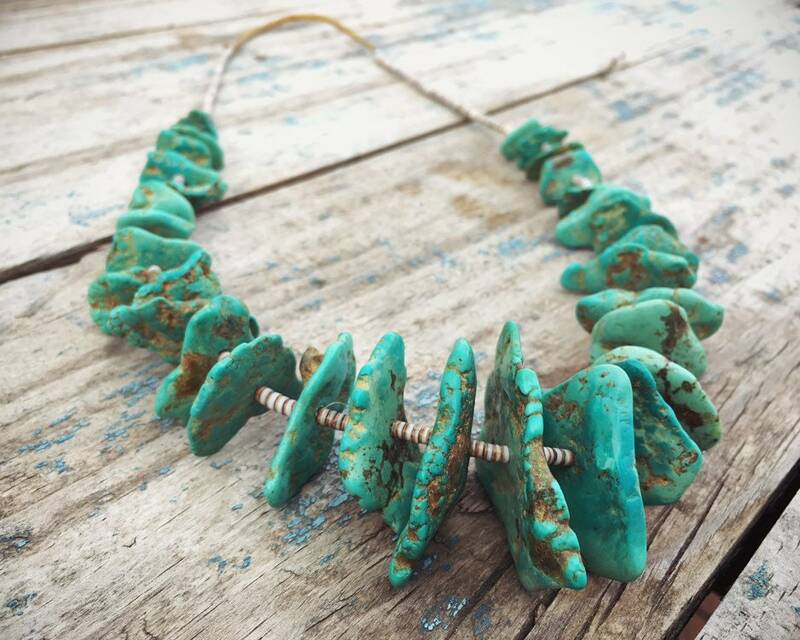 The turquoise chunks are graduated in size, with the largest at 1-7/8" by 1-1/4" and just over 1/8" thick. range from about 3/8" long to just over 3/4" long and are mostly the same size versus being graduated--some are a bit more flat and others more thick but in general they are made to be flattish in style. Total necklace length is just over 28" and not adjustable.